We've built our business to enable us to work one-on-one with you at every touch point—from driver to account manager to President—to be better problem solvers, more flexible and more agile in responding to your needs. Proudly Canadian owned and built on a reputation for reliability and flexibility, Flanagan Foodservice provides exceptional service to over 6000 customers. With over 10,000 items for your food service operation, we deliver products and solutions that make your life easier. The Flanagan difference is smart and transparent. It’s about spending time to learn your business and not pushing ideas that help ourselves. Our success is directly tied to yours and we work tirelessly to create great customer experiences on a daily basis. We are the difference you deserve. Behind the scenes we have a team of customer advocates, foodservice veterans and creative thinkers all working hard for your success. By the time our truck reaches your door many employees have worked together to coordinate every aspect of your delivery. Flanagan Foodservice is family owned company founded in 1977 by Joe Flanagan with an emphasis on customer service. Today the company is owned by his four sons, CEO Dan Flanagan and his brothers Rick, Murray and Jeff. Harnessing the unique attributes of a family run company, the owners have been able to maintain a service level that represents the warmth and tradition that Canadians are famous for. Distribution is organized in three locations across Ontario: Kitchener, Whitby and Sudbury. Each services a specific territory across Ontario. Our fleet of over 80 multi-temp vehicles use a sophisticated transportation system to ensure each delivery arrives at your door on time and in optimum condition. Whether you are looking for a simple way to refresh your menu or give it a complete overhaul, we have the insight, experience, and products to support you and help your business thrive. 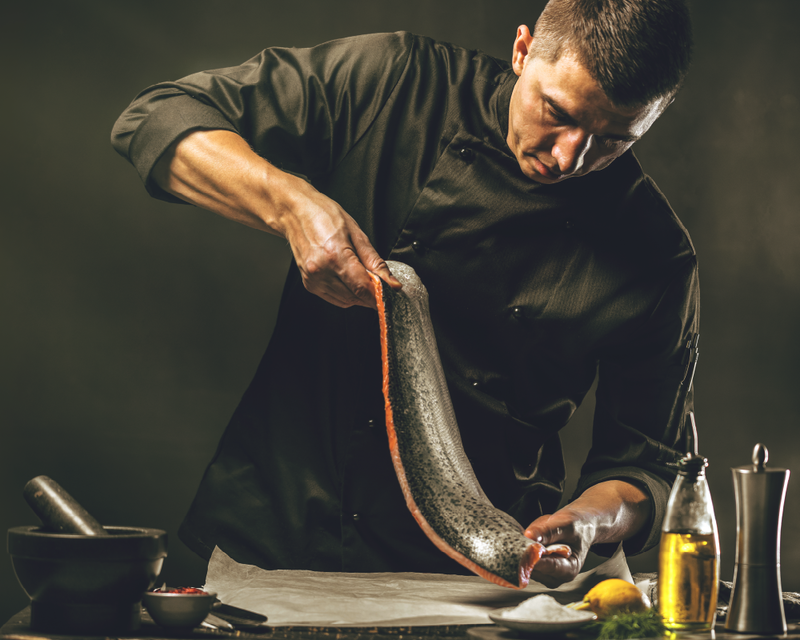 From fresh meat and seafood to a full line of smallwares and equipment, you can rely on us for spectacular solutions every time. Including fresh meat and seafood, dairy, frozen goods and more!